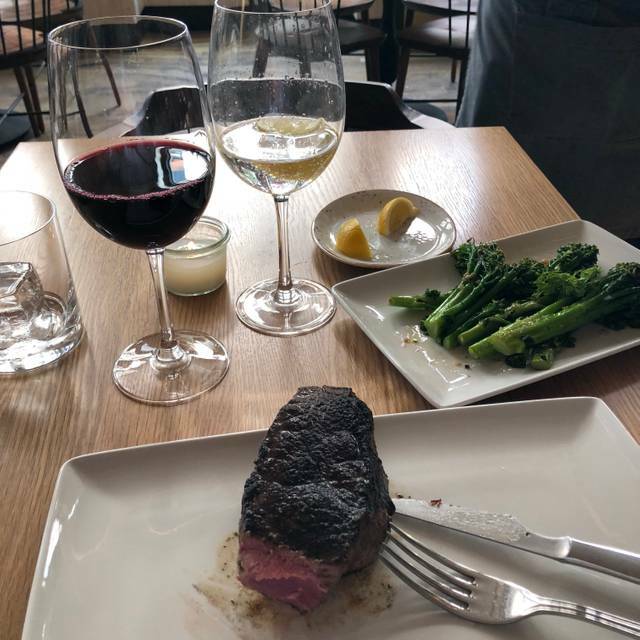 The steakhouse is not entirely focused on meats alone, and will also offer soul nurturing sides, soups, and salads inspired by each season’s abundance. Additionally, diners will find a roaming cheese cart displaying a variety of high pedigree local cheeses. Post supper sweets will be made in-­house and include a variety of baked goods and selection of rotating ice creams and sorbets. *Please note: our regular brunch menu will not be available at this time. Join Urban Farmer for an unforgettable Easter brunch buffet featuring everything from oysters and deviled eggs to a liege waffle bar and Colorado roasted leg of lamb. 10am-3pm | $65 per adult | $25 per child under 10. Quite possibly one of the best meals of our lives. Justin is fantastic and Urban Farmer overall is top notch. The food was amazing! 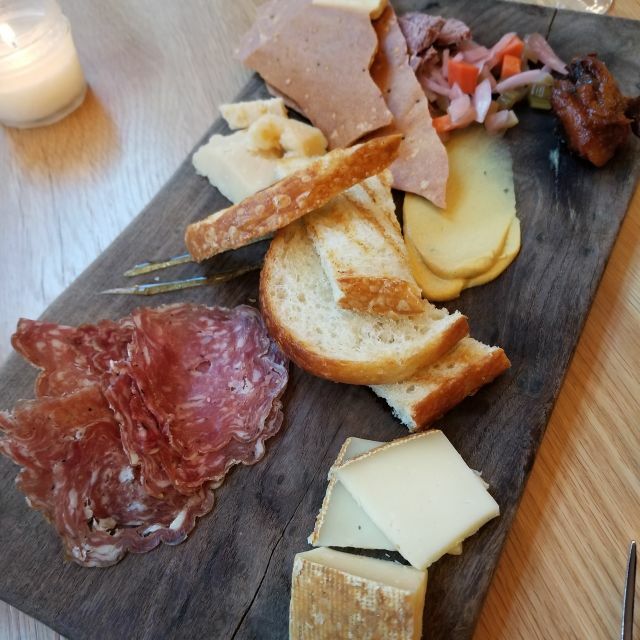 The best charcuterie board ever! We had the Steak tasting and each one was better than the last. The table side sautéed mushrooms were amazing as were the Brussels sprouts. Most food items grown and raised locally. A little spendy but we will be back! Although this is a steak-centric menu, the vegetables and fruits still shine as scrumptious salads, sides and accents. The beet salad is potentially the best ever because of its garnish of smoked apple butter. Tableside cooking adds freshness and flair. Lex was amazing. She didn’t make us feel rushed and helped us make good choices off the menu. Made it a very special evening. Incredible food and incredible service. Will be a memorable meal for a long time! Flexible with our needs and well done. Another great meal at Urban Farmer! Casual brunch with friends and we all enjoyed the variety and quality. Oatmeal and gluten free toast got rave reviews. The Mile High Omelet is one of the best breakfast in Denver!!! Green chili, ham, red pepper, béarnaise, white cheddar—-how can you go wrong? Give it a try for breakfast or brunch. They also have a Bloody Mary bar so make it how you like it. It was fairly empty inside. We were sat near a window with cool wind blowing in on us. The beautiful sun outside was not making its way inside, so while the idea of an open window was good, in reality it was too cold. The server was friendly - he was sued to dealing with tourists and had a spiel. The food was pretty mediocre. We were expecting better. It’s hard to screw up an omelet, but they managed. The decor was attractive - western contemporary. Fun bathroom stalls. The toilet was clean but the floor was very dirty. What a great place for dates and family dinners! Excellent menu with great choices. Well my readers, we came for brunch on Saturday. The interior design was well done. First impression was pretty cool, but that is where it ended. The food was good, but not great. There was food on the floor under the tables, water poured over the glasses onto the table, and left for us to clean up. The prices ridicules for the taste, and what you get. The place wasn't that busy to have that poor service.The woman that waited on us seemed stressed and unresponsive, but again the place wasn't busy. So save your money and find another place. Too bad, we had looked forward to coming to Urban Farmer for sometime. Just not worth it. I won't go back and certainly wouldn't recommend others to go there either. Over priced for the quality and serving sizes. We waited for a very long time for any service. The drinks were double the cost they should be. Even the best restaurants have off days and this was one, BUT the manager handled it well. We frequently eat here and this last time the kitchen couldn’t get the steak temperature correct, even after sending it back. :-o Everything else was up to par and the staff was as great as always. Regardless, make this a destination if you want a great dinner out in downtown! Chef Chris puts on a dining spectacle to behold. 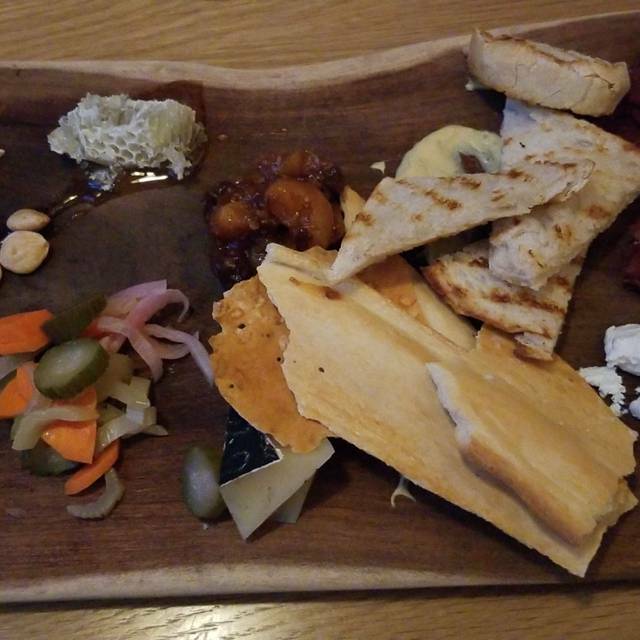 Unheard of appetizers and sides, along with taking locally sourced to a new level. The honey is from a hive on the roof! Excellent steaks as well. It’s a must dine if you’re in Denver. My fiancé and I chose Urban Farmer to celebrate our engagement with my parents. It was a very special evening, and I’m glad we went there! The Food- As a group, we have varying dietary preferences ranging from plant-based to meat-centric. We all enjoyed our food and were able to share some sides, too. 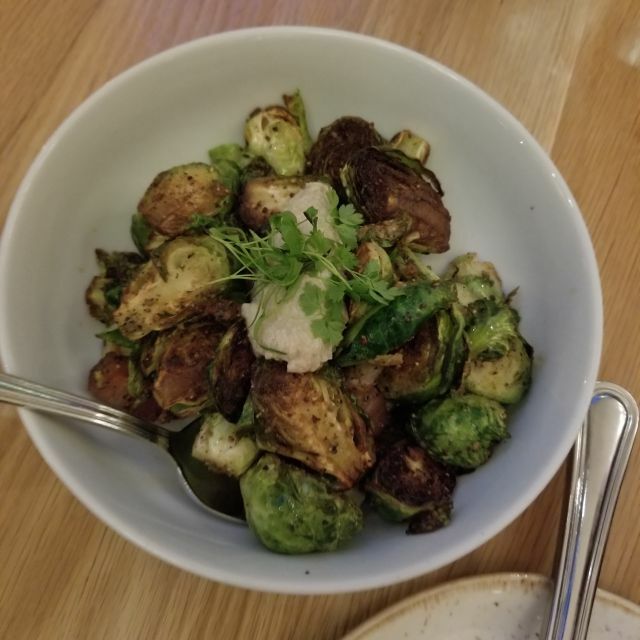 The restaurant goes out of their way to recognize the local farmers who partner with them, and even cultivate some of the produce themselves onsite (herbs, mushrooms, honey). Everything was delicious, thoughtfully prepared, and beautifully presented. The kitchen made some modifications to our sides so that some were prepared vegan (broccolini, mushrooms). One side dish (mushrooms) was prepared at the table, which was fun to watch. The Atmosphere- Urban Farmer is in a beautiful space. An old building with high ceilings and plasterwork matched with large windows. Furnishings and light fixtures are closer to mid-century/modern, and compliment the classic space well. Our table was a little wobbly, but I think that was the unevenness of the floor rather than a problem with the actual table - and it really didn’t effect us. Lighting was soft, but not dark. There is a hum of conversations from other table, but we could hear the waiter and one another perfectly. It felt elegant, but not stiff. Service - I advised the restaurant beforehand what we were celebrating, our dietary restrictions, and other preferences (e.g. seating in a quieter area). All of these were accommodated; they even offered us complimentary prosecco for our toast. Our waiter knew the menu and wine list very well. He made recommendations for pairing courses that my father enjoyed so much he made a note of what he had (this is rare for him). I sincerely appreciate the efforts of the Urban Farmer staff to accommodate us, and recommend them for special occasions. Such a great experience. I took my husband for his Birthday and the whole evening far exceeded our expectations!! We had a great waiter and the food was amazing!! The food was amazing, but the hostess and waitress could have been a lot nicer. Urban Farmer was a fantastic fine dining experience. From the moment we walked in the door we were greeted with a smile and promptly taken to our table. Russ our server was phenomenal, he was knowledgeable and friendly. The steak tasting was so good. We loved the 21 day aged prime rib. 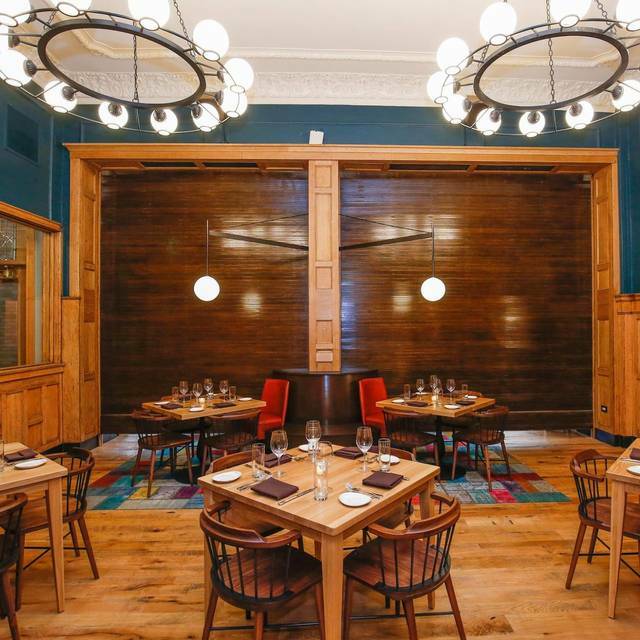 Unlike any other steak restaurant we have ever dined in. Thanks for your exceptional customer service. Everything was amazing. Best steaks I've ever had in my life. First class in every way. Best restaurant experience to date. Wonderful service and best steaks we have ever eaten. The service was great! I know it’s a steakhouse but my wife ordered the salmon and it was horrible. The ribeye was definitely the best. the brunch was great. Prices reasonable for a nice place, comfortable atmosphere, good food and choices. Not sure about the dinner as the prices seem extremely high for steak and I would probably go elsewhere. Meagan was a great server as was all the staff, from wine presentation to table side mushroom prep chefs. 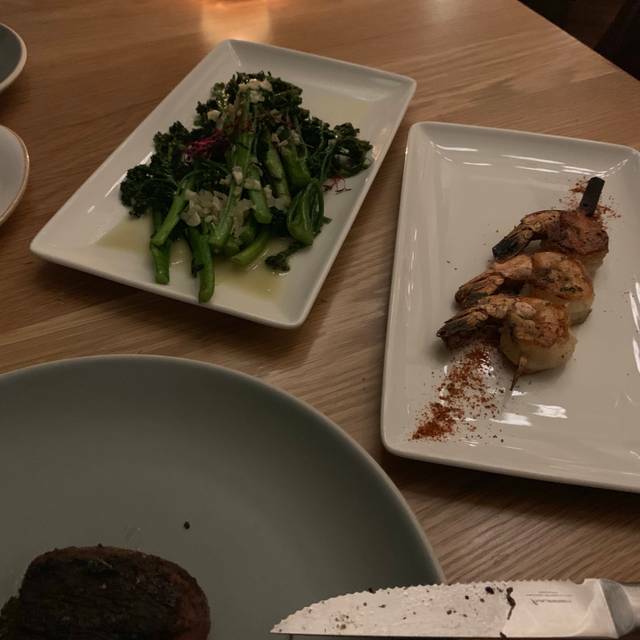 The food was truly fabulous and we loved that you let your main ingredients shine through rather than drowning them in sauces and covering the beautiful flavors of your prime ingredients. Well done start to finish and congratulations on a friendly, thorough and thoughtful team of employees. My son and I both had the ribye and the were amazing. The twice baked potato in a pie crust was decadent! Expensive but worth it. Four times in a row (over 2 months) cold food, bad service. We live downtown and will never return to Urban Farmer. Food and drinks were excellent! Had a great business dinner all in all, but timing was a little long. Server made up for it though. Once again a fabulous dinner out at Urban Farmer. The end of the week called for a great cocktail and delicious meal. Urban Farmer delivered! Thanks to Lex for exemplary service! Cheers to the bar tender for one of the best martinis in town and hats off to the chef for steaks at the perfect temperature! If you haven’t been to this restaurant, you’re missing out! Food was cold. Parts of our orders were not delivered. Corn bread was amazing. Jordan wine was amazing. Cinnamon buns to die for!!! House made English muffins were best I ever had. 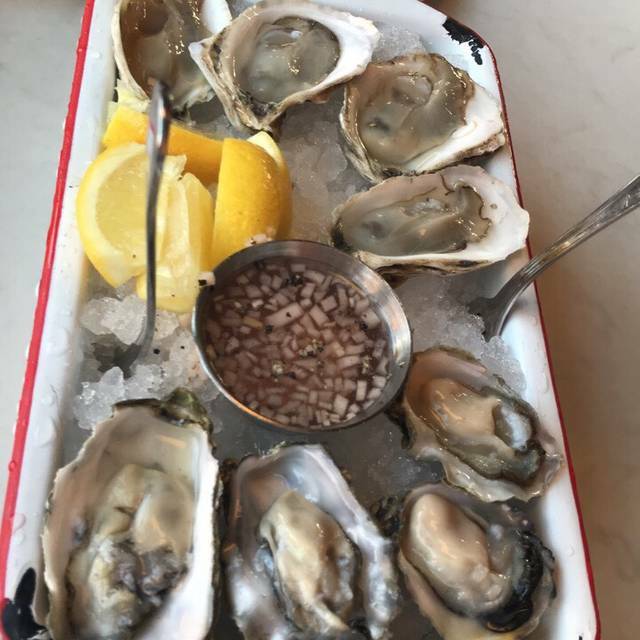 My husband and I went to Urban Farmer to celebrate our anniversary. Everything was outstanding! We both enjoyed perfectly cooked filets. We split a Caesar salad and shared two sides. The mushrooms, prepared table side, were wonderful as were the braised Brussel Sprouts. The restaurant was a bit on the loud side but it was a busy Saturday night. Never had the opportunity before to compare grass fed, grain fed, aged and wagu. Terrific idea - and absolutely superb steaks. Only complaint - much too much salt on the fries, otherwise everything was first class. 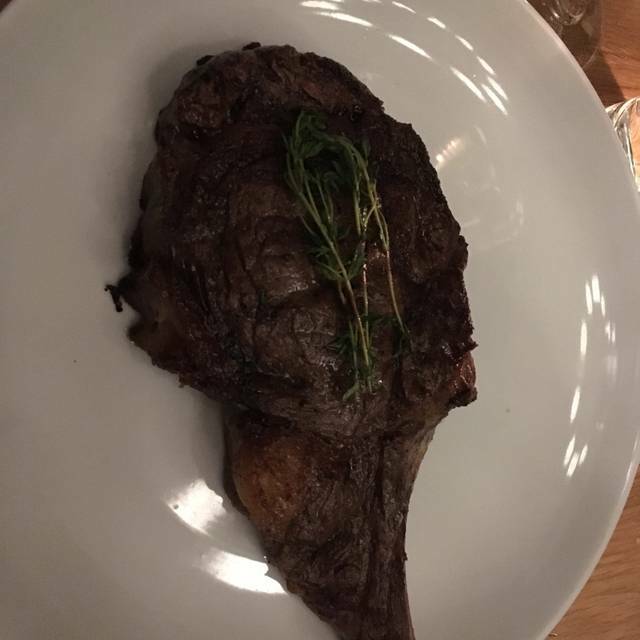 My husband had the 18oz Wagyu Ribeye and said it was the best steak he has ever had, high praise coming from him! From the moment we walked in the door and were greeted by the host along with a lovely smoky aroma, we knew we were in for an amazing experience. Our waiter, Nick, was extremely knowledgeable and guided us through our choices. We enjoyed the tableside steak tartare (best I’ve had since I lived in Paris), the New York steak tasting menu (including the fourth Wagyu portion), the tableside mushrooms (which are grown in house in the mushroom terrarium), and the accompanying wine flights (beautifully paired and explained by the sommelier). It was a luxurious evening full of exceptional tastes and personal service. We will absolutely be back for another special night soon. Expensive but excellent food quality, service and ambiance. Definitely worth it a special treat! Sides and steak were delicious. The space is gorgeous. The food was not at all what it has been in my past experiences. 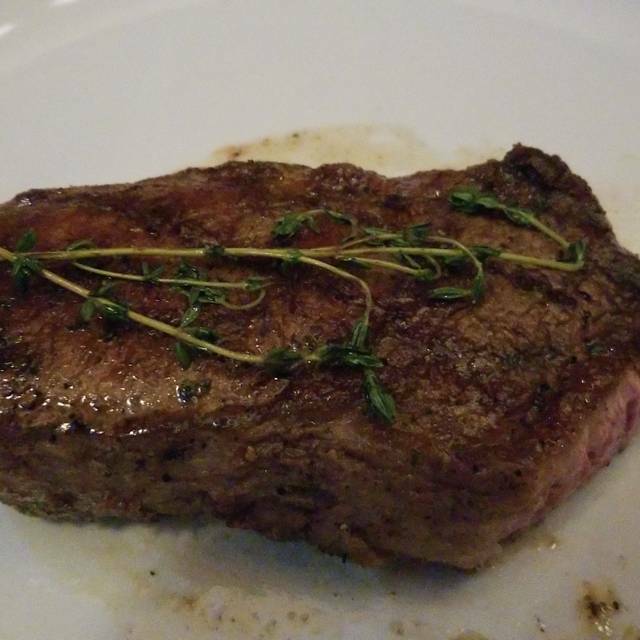 The exception was the steak which was delicious and beautifully prepared. We started with octopus that was awful. Totally overdone and fishy tasting with sauces that didn’t help. The creamed spinach was watery and missing the decadence that should come with the dish. The table side mushrooms were just ok and under-seasoned. The service was lovely and made the experience more enjoyable despite the fact that the food was not very yummy. I typically would not care about the cost because I’ve had wonderful meals here. This one stung because it was so under average.